Jeffrey Tasch has had a passion for music and technology since a very early age. Growing up in the northwest suburbs of Chicago, he constantly tinkered with any electronic gadget he could get his hands on. He built his first crystal AM/FM radio at the age of 8, and built his first AC electric motor a year later. One of his fondest childhood memories was getting an Apple 2e in 1984, but instead of playing computer games on it, Jeff opened it up to see what was inside and how it worked. Jeff’s love of music blossomed through the violin and drum lessons he took for many years, but he was also exposed to other facets of music through his father’s company, Sound Post Inc. Jeff’s father, Fritz Tasch, was the proud proprietor of the largest, privately-owned musical instrument retail chain in Chicagoland. The Sound Post music stores were both well-respected and popular with top musicians from throughout the Midwest. As a youngster, throughout his years at Fremd High School and while double-majoring in Computer Science and Business Management at Winona State University in Minnesota, Jeff had the opportunity to meet many famous musicians, as well as attend a myriad of concerts because of his father’s business and its clientele. After deciding to work alongside his father at the Grand Piano Haus, Jeff realized he aspired to be much more than just another piano salesperson. He also realized that to be a forerunner in the piano world, he had to truly understand pianos from the inside. 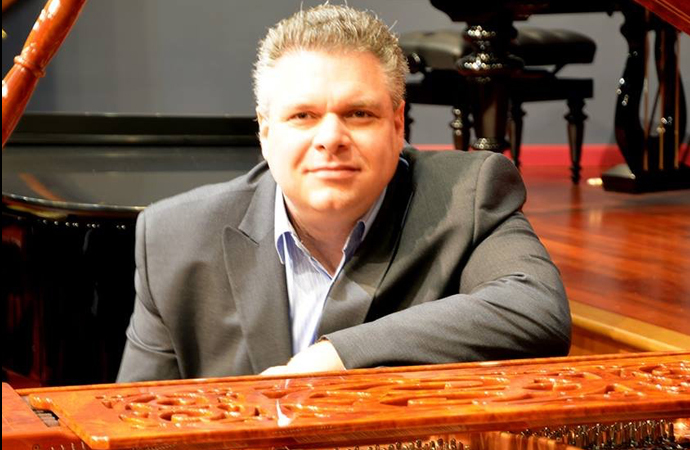 Jeff then committed himself to become the best piano technician possible, and learned his technical skills from various piano-building masters from around the globe. Jeff credits Terri Otake and Don Mannino, piano artisans from Shigeru Kawai, Alex Kerstan, an artisan from Steingraeber & Sons, and LeRoy Edwards, master craftsman from Yamaha, with helping to shape him into a premier piano technician. Jeff also completed Yamaha’s elite piano training school, often referred to as “The Little Red School House,” studying in both Buena Park, California and Kakegawa, Japan, where he earned highest honors. Additionally, Jeff is the only piano business owner who holds a Disklavier technician certificate, having completed the training to service the sophisticated electronic and electromechanical components of Disklavier pianos. Next year, Jeff expects to travel to Vienna, Austria to complete training as a certified concert-level Bosendorfer piano technician.